Our Father in heaven Hallowed be Your Name MELEK KAMELECH King of Kings 1 Tim. 6:15 Thy Kingdom come. Thy will be done. On earth as it is in Heaven. We thank You for our Royal Family, for the forthcoming marriage and addition to the monarchy. We decree this opportunity for change will strengthen, support and reinforce the monarchy, and shift this nation’s values. We decree in this nation, royal role models of righteousness will be established and we cry out for divine encounters with the glory of God within the royal households. We release godly dreams, visions and prophetic words into the heart of the royal lines. Even as “Righteousness exalts a nation”, we declare within our Royal Family, You will raise up those that stand for and acknowledge Your rule and Your righteousness. We declare a strengthening and prolonging of the reign of our monarch, that she might stand in health, strength and righteousness until such a time as those to follow may do so with the fear of God upon them. Now, in the Name of Jesus, we speak liberty to the Queen as she prepares her Christmas message for the nation, that it will proclaim and testify of the good news of both her household and of the gospel to which she so strongly adheres. Our Father in heaven Hallowed be Your Name Y@HOVAH JIREH LORD our Provider Gen. 22:14 Thy Kingdom come. Thy will be done. On earth as it is in Heaven. Heavenly Father, we give thanks for our government, we pray for all men and women having authority over us in any way. (1 Tim 2:1,2) very specially for Theresa May, David Davis, Liam Fox, Sir Tim Barrow, Oliver Robbins, and Sarah Healey who are responsible for negotiating our terms for leaving the EU. Pour out Your Spirit upon them and make Your Word known to them. (Prov. 1:23) and cause them to be men and women of integrity, obedient concerning us (Ps 25:21) and seeking Your terms for us leaving the EU. 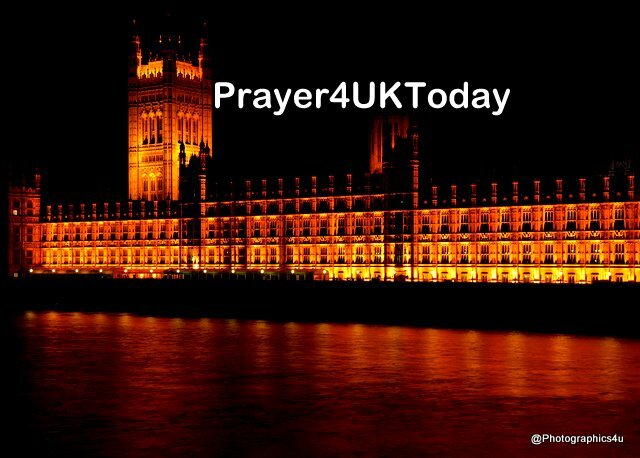 We ask that You would bring to light what is hidden in darkness, and expose the secret aims of the hearts (1Cor 4:5) of those opposing us as we pray for discretion to preserve our negotiators and understanding to keep them, to deliver them from the way of evil and from evil men, (Prov. 2:12) and all those who will try to prevent Britain from leaving the EU.